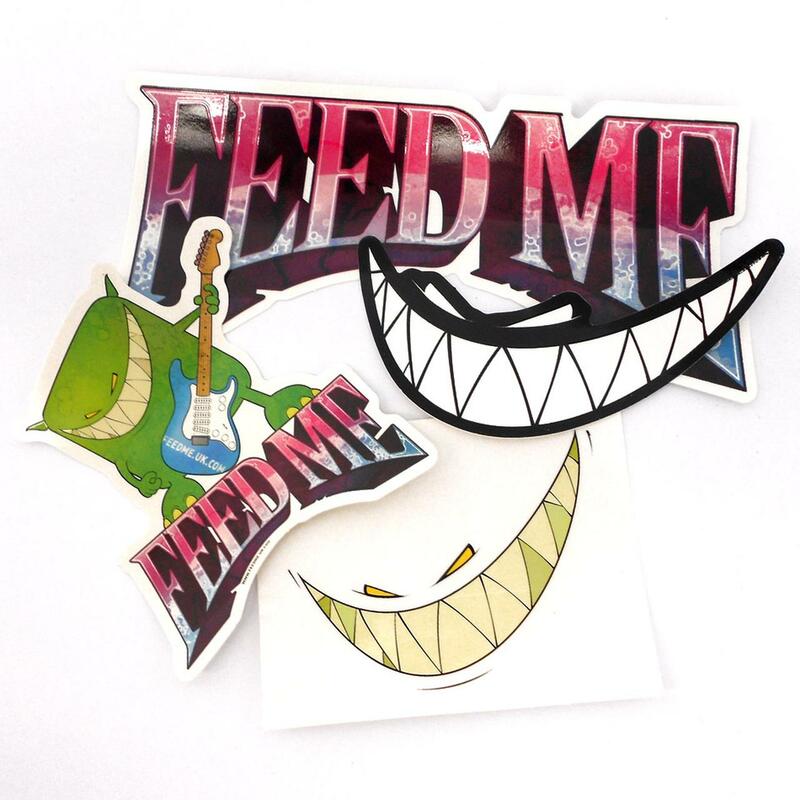 • Feed Me logo - 3.5" x 8"
• Guitar Feed Me - 5" x 4"
• Colored "Teeth" sticker - 3" x 4.5"
• Black and white "Teeth" sticker - 3" x 5"
These are super durable and double clear coated with a protective UV coating. Screen printed and die cut vinyl. 8-Pack includes 2 of each. 12-Pack includes 3 of each. 24-Pack includes 6 of each. 40-Pack includes 10 of each.